RA Fatigue: How Do I Control Chronic Fatigue from RA? Rheumatoid arthritis is a debilitating condition that causes a wide range of symptoms. One of the most prevalent symptoms experienced in suffering from rheumatoid arthritis is chronic fatigue. Fighting fatigue for rheumatoid arthritis patients seems like an ongoing uphill battle. For those who suffer from rheumatoid arthritis, feelings of fatigue and constant tiredness can make it difficult to get through each day. But there are some ways to help beat fatigue, stay alert, and feel more rested and happy. 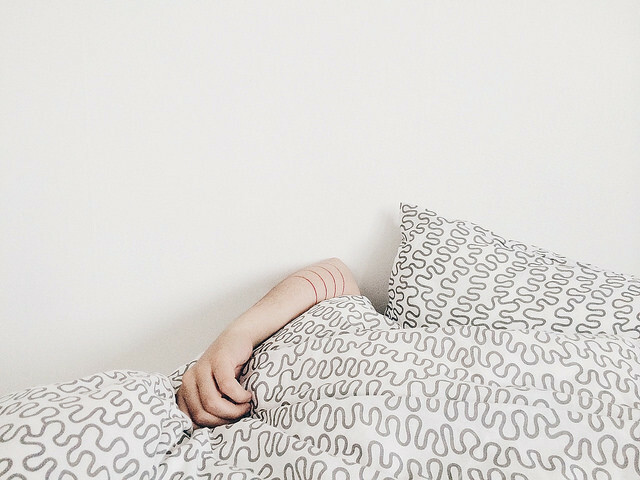 Chronic Fatigue is the constant feeling of weariness or overwhelming tiredness that doesn’t seem to improve or change regardless of the amount of rest or sleep received. Patients may receive an adequate amount of sleep each night and still feel fatigued during the day. Fatigue affects people physically, mentally and emotionally. When people experience fatigue they feel as though their energy has been depleted and they don’t have the strength to perform daily activities. Fatigue may come and go or worsen during certain times. The onset of the fatigue may be unpredictable and occur without warning signs or symptoms. Fatigue may not be preceded by physical activity or exertion, and it may occur in between or during “flare-up” episodes of RA. Fatigue can be a serious and debilitating symptom of rheumatoid arthritis. Those who suffer from chronic fatigue report that it makes them feel so physically exhausted that everyday tasks of life become a burden. They report that their limbs feel heavy, weak and are difficult to move. Fatigue also affects one’s ability to focus, making it difficult to perform daily tasks at home, work or school. It may also be challenging to pay attention during conversations. Chronic Fatigue can lead to decreased workplace productivity, social isolation, and depression. Fatigue is one of the common symptoms of rheumatoid arthritis. It can be one of the first warning signs of RA before the diagnosis is confirmed. For many patients, the onset of chronic fatigue symptoms associated with rheumatoid arthritis can be vague and difficult to categorize and may be attributed to other causes. In addition to the regular rheumatoid arthritis symptoms, fatigue becomes even more chronic and debilitating when other medical complications are involved. Fibromyalgia, obesity, heart disease, respiratory disease such as COPD, and depression, are a few examples that can complicate and worsen the effects of fatigue. Regular exercise helps boost energy levels and is one of the best methods of fighting fatigue for rheumatoid arthritis. Even spending as little as 30 minutes per day doing light exercise like walking can improve alertness and increase mood levels. Try light stretching or slow yoga and tai chi movements to wake up your body and mind. Moving around increases blood flow and stimulates the mind leading to better focus and alertness. Certain foods are linked to causing inflammation and thus worsening the effects of rheumatoid arthritis in patients. Be sure to eliminate these foods from your diet and choose carefully selected foods that are healthy and will give you plenty of nourishment. Fruits, vegetables, and natural foods can help boost energy levels and beat chronic fatigue. Fatigue can also be made worse by the amount of food eaten. Avoid eating large portions of food that can make you feel more tired as your body works to digest it all. Often we find we push ourselves too hard. Because rheumatoid arthritis is an autoimmune disorder, it can naturally deplete energy levels. Frequent breaks and rest periods are important in fighting fatigue for rheumatoid arthritis patients. If you sometimes forget to take breaks, try setting reminders and alarms to get your attention and alert you as to when a break is needed. You may be getting enough rest, but you’re possibly not getting the right quality of rest. Tossing and turning can disrupt sleep patterns and leave you feeling fatigued. Develop the right sleeping habits by keeping your bedroom dark and cool. Put away all electronic devices at least 30 minutes before sleeping so as to avoid stimulation and distractions. Invest in the right mattress for your posture. Mattresses should be supportive of your muscles and joints. Be prepared to do whatever it takes to get quality sleep and rest. A common side effect of certain medications is chronic fatigue and even depression. If you are experiencing chronic fatigue or symptoms of depression, talk to your doctor about your concerns. The medication may or may not be responsible for your symptoms of fatigue. Each person reacts differently to various types of medication. It may take some trial and error before determining if medication is contributing to the fatigue, and which therapy is best for you. When chronic fatigue starts to affect your daily life and your ability to perform social, family or work activities, it may be a sign of depression. A therapist or counselor can provide emotional support and guidance. Joining a support network and being around others who can relate to your struggle can also help boost your mood and potentially lessen chronic fatigue. If these measures are not helpful then a psychiatrist may be able to prescribe medications to help manage the depression and chronic fatigue. The effects of Chronic Fatigue can’t be managed overnight. It requires small daily habit changes and lifestyle shifts to incorporate more activity, better rest, and improved dietary habit. By assessing and adjusting your daily activities, you can help determine what is contributing to your chronic fatigue, and make the appropriate lifestyle changes. Successfully managing these factors that contribute to Chronic Fatigue associated with Rheumatoid Arthritis, a patient can drastically improve energy levels and overall wellbeing. If you’re concerned about how chronic fatigue is affecting your life, talk to your rheumatologist about the options to beat fatigue and improve your wellbeing.